On Tuesday, April 9, 2019, the Architects of Change club at OLP will host a Live Conversation with Annette Ross, author of Where Fairy Tales Go. Discover the uplifting story that led to her self and women’s health advocacy. 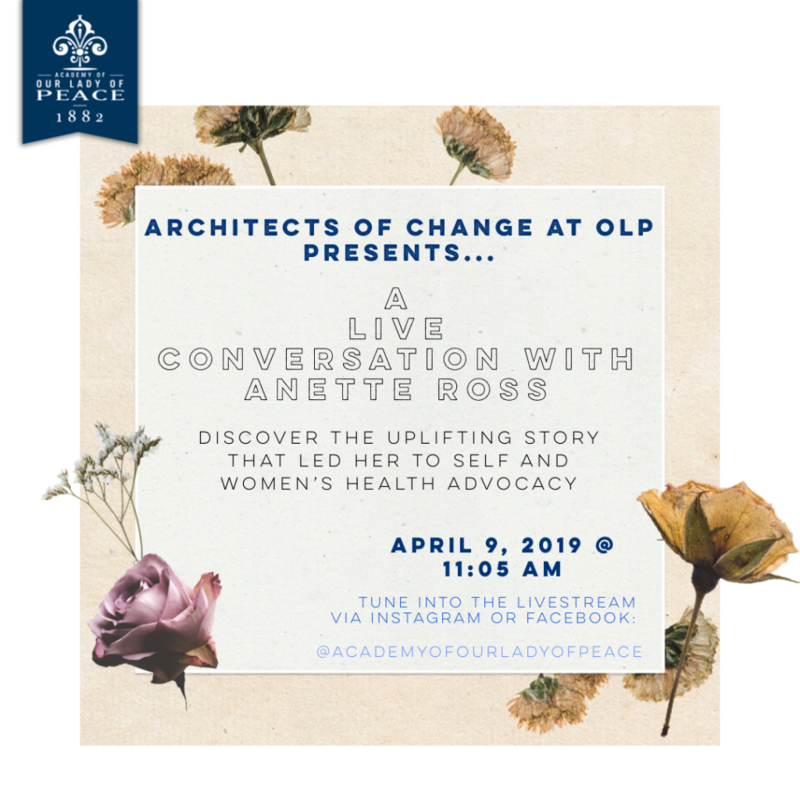 Watch the conversation live via our LiveStream here on April 9, 2019 at 11:05 am. Learn more about Architects of Change at OLP here. Annette Ross is a graduate of Sarah Lawrence College where she concentrated her studies in religion and ethics. She was a visiting scholar at the Hastings Center for bioethics where she explored the broad subject of hope and medicine. From 2011-2013 she hosted ‘Common Ground’ for the Sylvia Global Media Network. She lives in San Diego with her husband and five daughters. Where Fairy Tales Go is her first book. An inspirational memoir told by dynamic mother of five. Annette Ross shares her personal life challenges and the life-altering medical error that left her unable to walk. Join Annette and her family on this journey to reclaim a lost fairy tale.